My daughter is truly a girly girl. Every day she wears a tutu. She even wears one over her pajamas. She loves tiaras, headbands & jewelry. A few weeks back we made some necklaces out of handmade clay pendants. They were fun to make & my munchkin loved them. 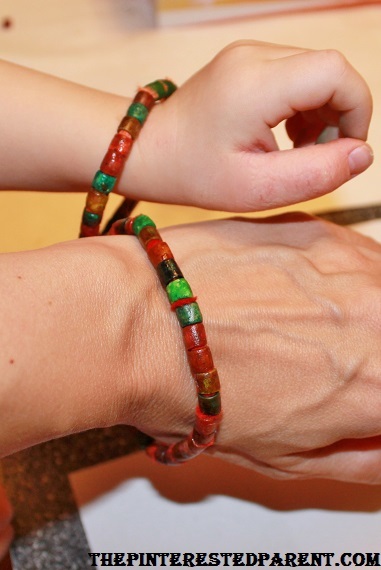 Last week we made some bangle bracelets to go with them. 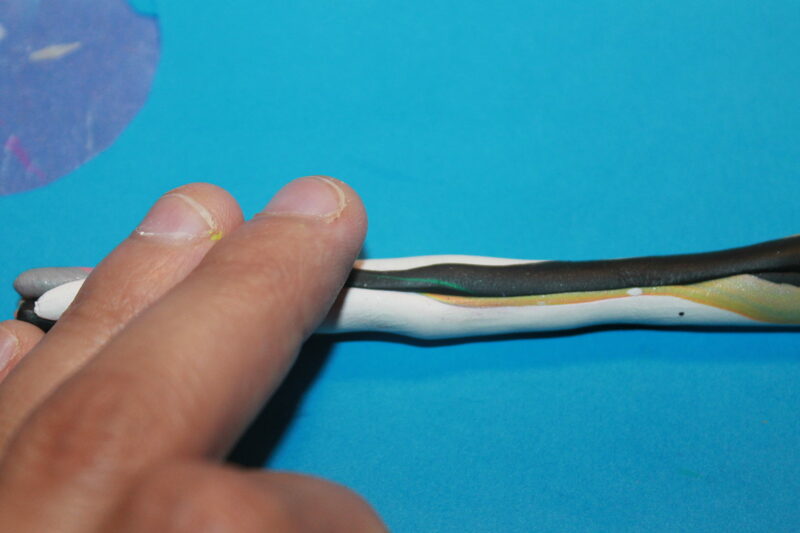 We started with a chunk of polymer clay in the color of our choosing. 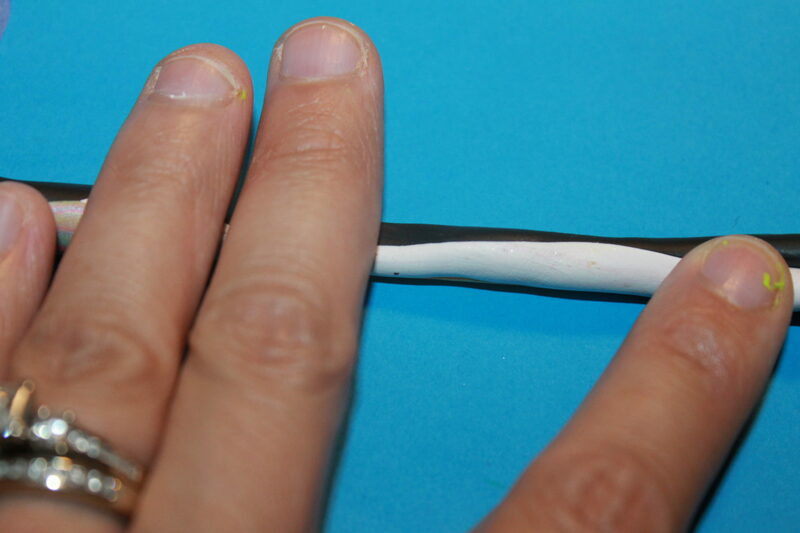 We rolled out the clay into a thin strip. 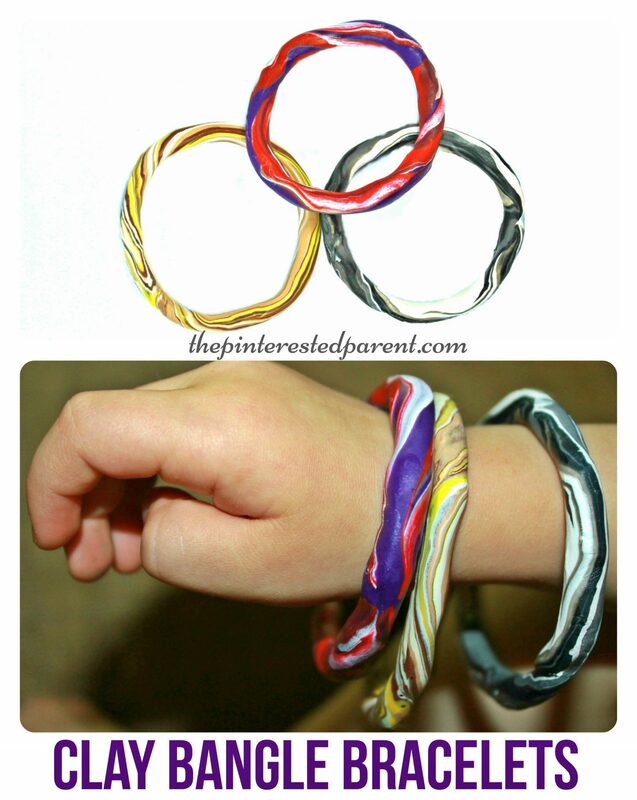 We chose other colors that we wanted to blend in & rolled them out too and then rolled all the strips together. 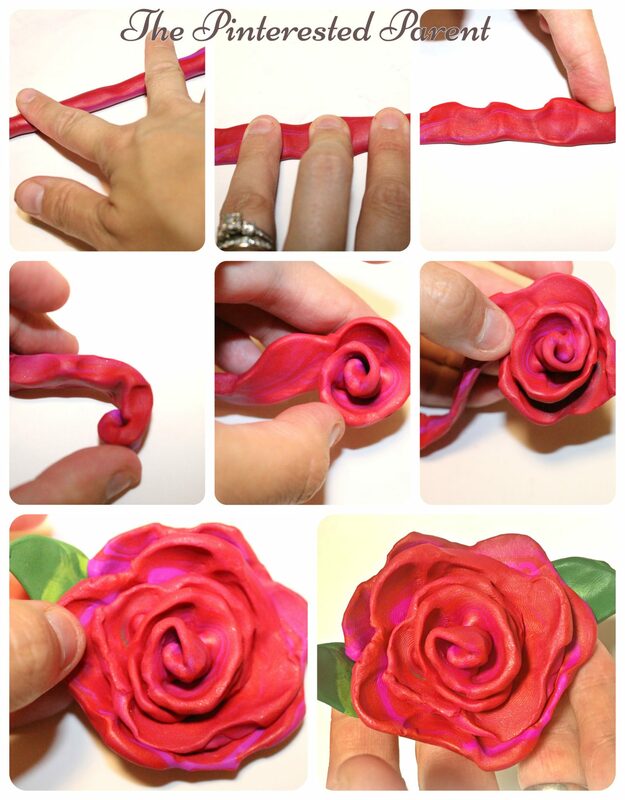 Roll & blend as much as you like to create the desired pattern. Once you have achieved the look that you like, join your two ends to form a circle. 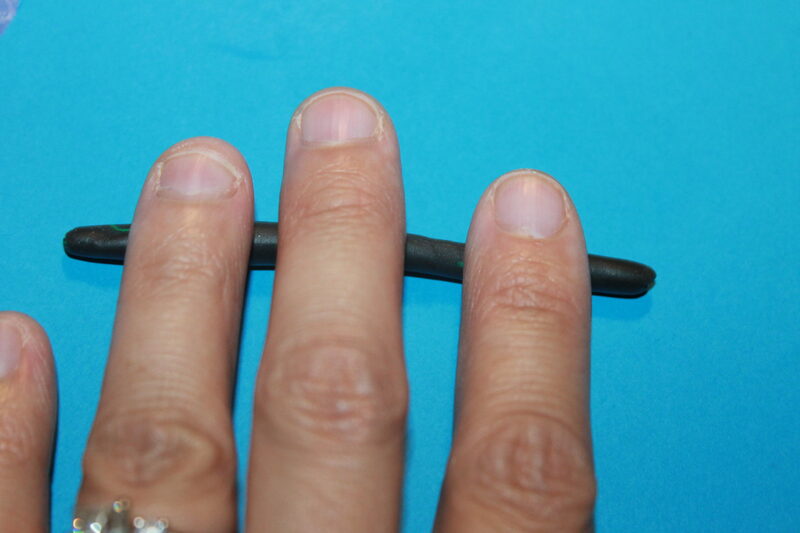 Use your eye or measure to decide how big of a ring you need to make to fit. 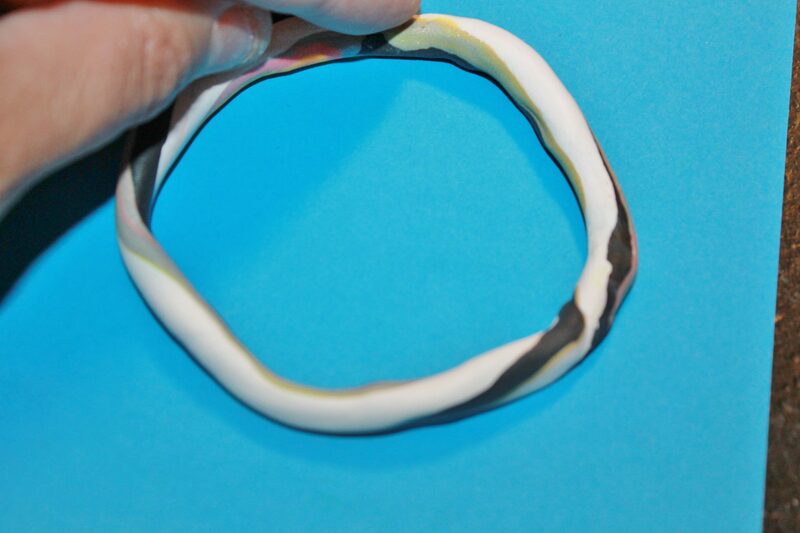 Bake the bracelets according to package directions. These are so fun & easy to make. 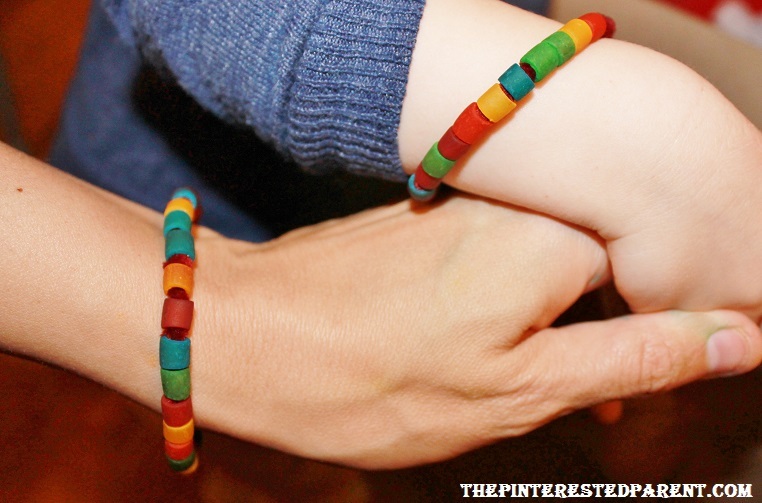 This is perfect for jewelry lovers of all ages. 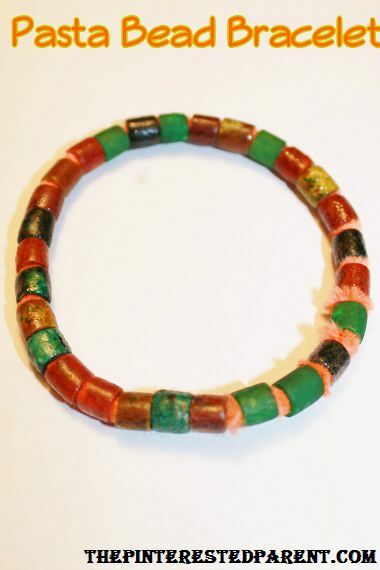 The other day my daughter was digging through a chest of drawers and came across a bamboo necklace that I bought when we were in the Bahamas. The necklace was just a simple beaded necklace on craft wire. My daughter was having a great time sliding the bamboo beads back & forth. She wanted to break it open and play with the beads, but I did not want to ruin my necklace. Instead we had another idea. The beads on the necklace reminded me of Ditalini pasta. 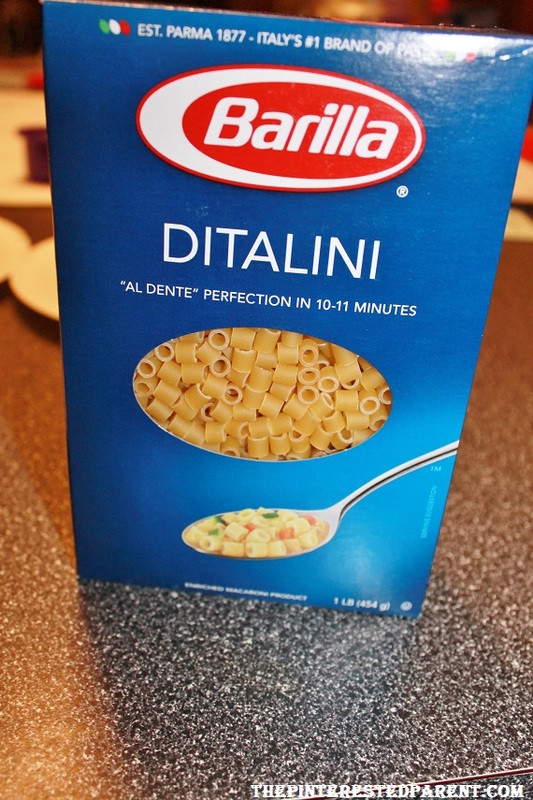 We had a couple of boxes of it to spare, so we decided to make bracelets with our Ditalini. 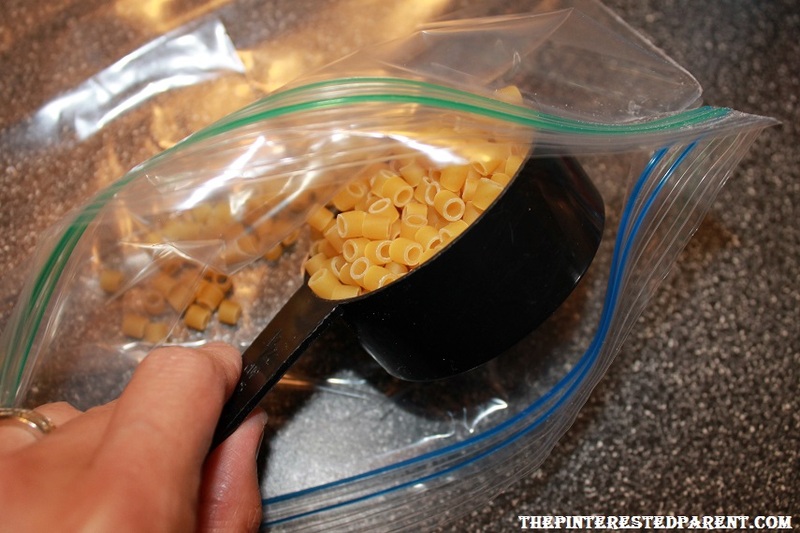 First we dyed our pasta by tossing it a cup at a time into a plastic baggie with food coloring. 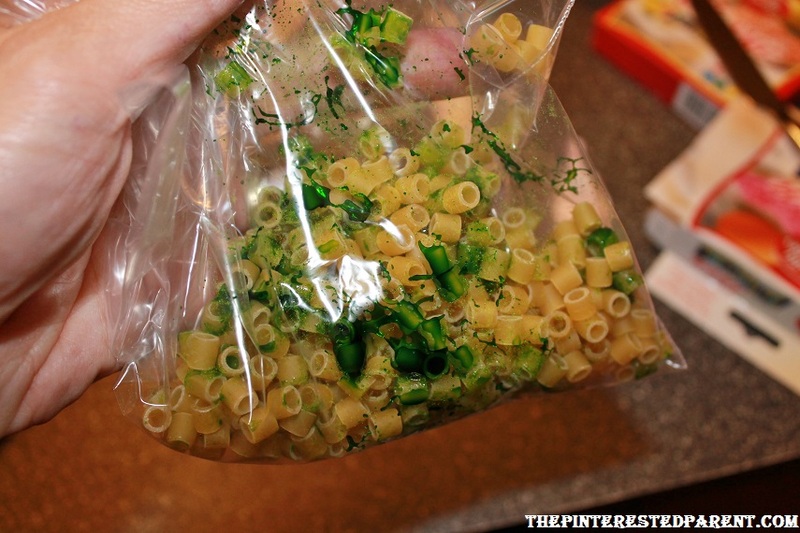 Spread out the pasta on a paper towel & let it dry. Mai saw all the pasta laid out to dry and got excited. “Mama, we do project.” We do love our projects. Once the food coloring dried, my daughter was ready to dive in. 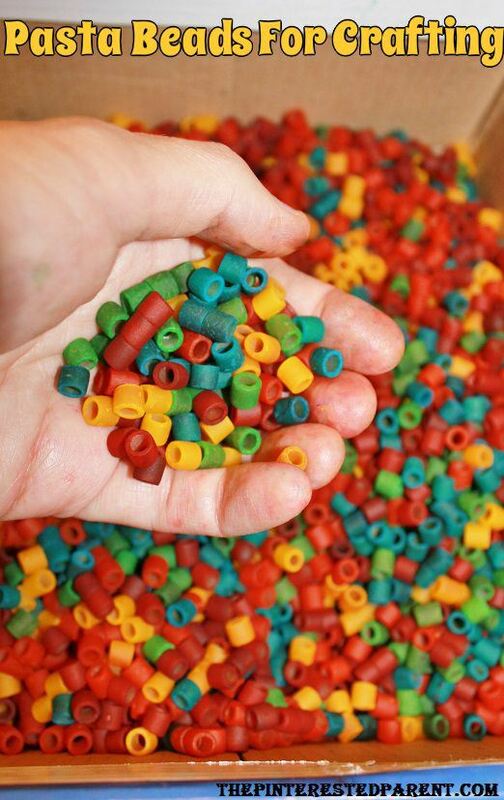 We poured all the pasta beads into a shoe box & mixed them up. Mai had a little difficulty using string to make our bracelets, so we pipe cleaners instead. This worked much better. She was able to string them up with ease. 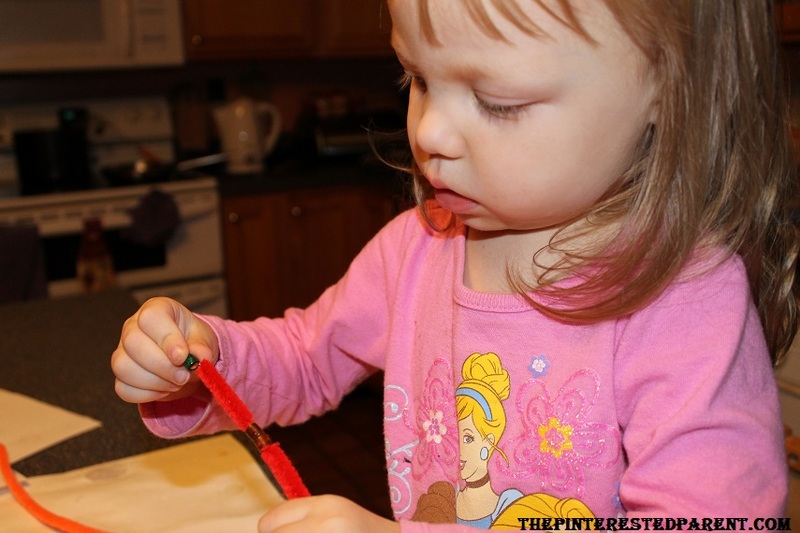 This is a great activity for hand-eye coordination & Mai really enjoyed this. 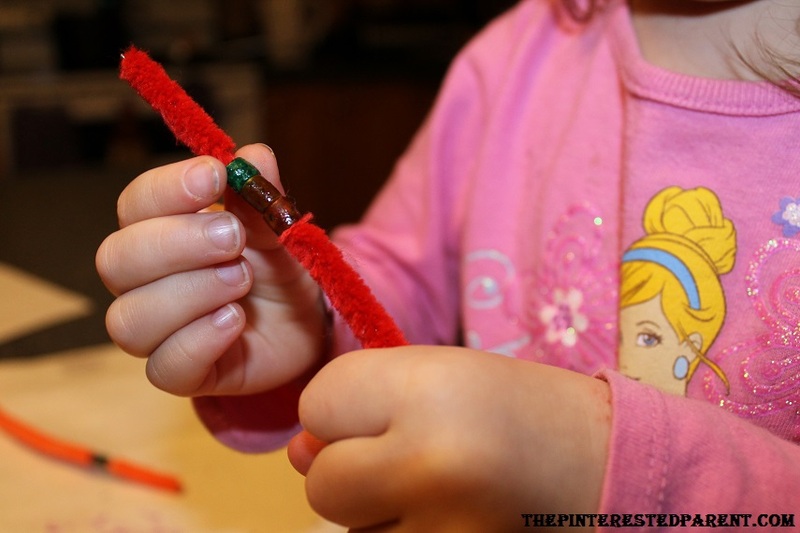 Measure the pipe cleaner around the wrist to find the desired size for you bracelet. Snip the pipe cleaner about an inch longer than you need it. 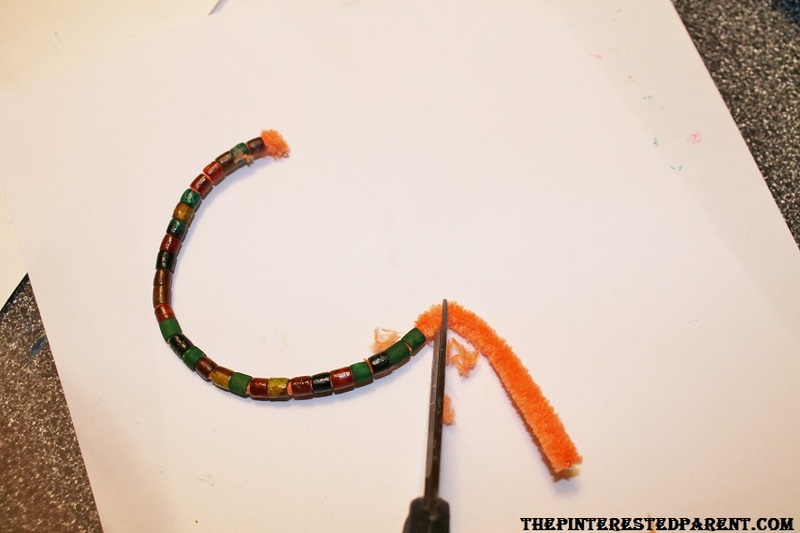 Twist the two ends together tightly & slide the bead around the newly joined section. We made one more bead craft before our night was done. 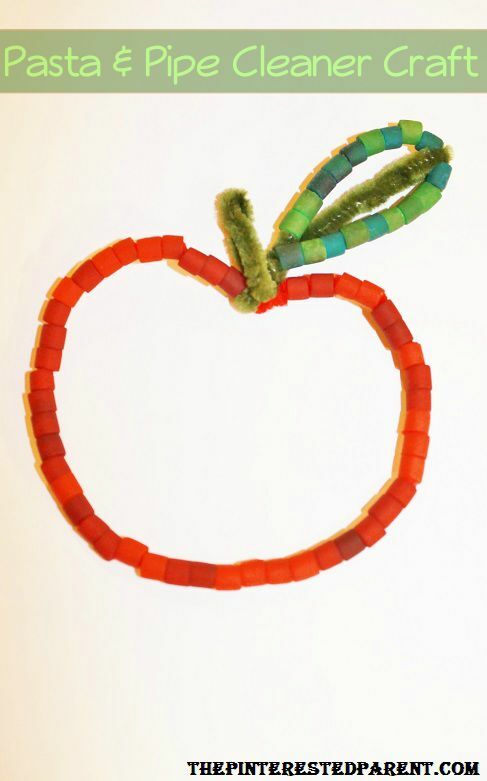 The colored pasta is not just for crafting, it also great for sensory boxes, color sorting and counting games.